ICANN and the fight for .gay and .lgbt: Does the gay community even exist? .cruise? A screen shows a rolling feed of new gTLDs during a June 2012 ICANN press conference. If all goes according to plan, on Wednesday May 7, comments will close in the final stage of the Community Priority Evaluation for the .gay generic top level domain, known to cyberpolicy wonks everywhere as a gTLD, one of the many new domains being created by the Internet Corporation for Assigned Names and Numbers. The land rush for this first batch of new domain names is coming to a close, with some of the new gTLDs already in service. The .gay domain is taking much longer to assign, due to the complex process and delays from ICANN, in particular with regard to the puzzling yet pertinent evaluation of whether there is gay community, and who can claim to represent it. As I wrote last year, many people are unhappy with the whole gTLD system, especially brand owners who will be obliged to shell out for new URLs just to protect their existing investment in Internet real estate. Between fees from applicants and more fees from anyone filing an objection, ICANN, a nonprofit, will be churning a lot of cash—perhaps as much as $92 million from application fees alone. 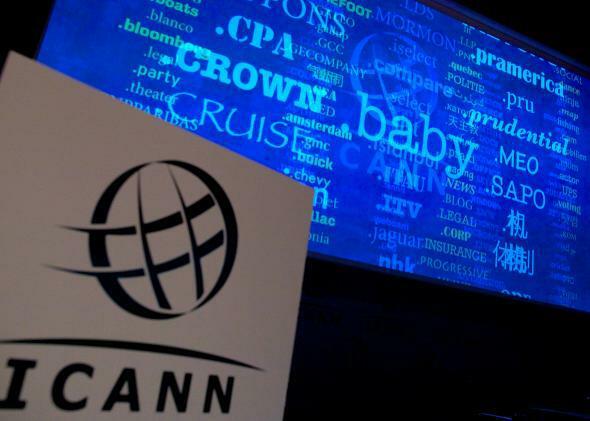 When it launched the new gTLD initiative, ICANN took pains to include domain names that were not just about making money for the new registrars. Although the bulk of applicants are requesting what have come to be known as “standard” TLDs, as the process has gone on, various classes of gTLDs have been identified. Many of the gTLDs already approved are “geographical” designations, such as .paris or .nyc. Another family of new gTLDs are “brands” like .apple or .gop. And from the start, ICANN anticipated the creation of “community” gTLDs. But what is a community? Who determines whether a community exists and who can represent its interests? When it comes to the LGBTQ community, the question would be much easier to answer if the “gay mafia” really existed. But in its absence, who represents the gays? The community is multifaceted, to the point that it can’t even settle on the best label for itself. Here on Outward, the convention is to use the initialism LGBTQ, but LGBT, GLBT, LGBTI (the I stands for intersex), and SOGI, for “sexual orientation and gender identity,” also have their partisans. It’s hardly a surprise, then, that we have neither a pope nor a capo di tutti capi to issue executive orders from on high. In addition to the three commercial rivals for .gay, there is a single non-community applicant for .lgbt, and the history of this application is enlightening as to how the notion of “community” raises difficult questions that are perhaps incompatible with the implementation of ICANN’s essentially business-oriented launch of new gTLDs. The .lgbt gTLD was proposed by Afilias, a leading registry operator, which already owns gTLDs such as .info and .mobi, and operates the TLDs for several countries, including India and Mongolia. Like many players, it is seeking a large number of gTLDs, including some colors such as .blue, .red, and (for the gays?) .pink. Last March, the International Lesbian, Gay, Bisexual, Trans, and Intersex Association, which is known as ILGA (and, full disclosure, my organization, the Federation of Gay Games is a member of ILGA and a supporter of the dotgay LLC application), represented by the International Gay and Lesbian Travel Association, filed an objection to the Afilias .lgbt application. ILGA argued that Afilias’ operation of .lgbt would damage the gay community in a variety of ways. ILGA observed that Afilias presumed that .lgbt would bring people living the “gay lifestyle” into a community—as if being gay were merely a lifestyle and not the expression of one’s essential nature, and as if the gay community did not already exist. ILGA added that the commercial exploitation of the gay community by the operator of .lgbt would be particularly pernicious, because none of the profits from the operation would serve the community, and that this for-profit operation would allow for abuses of the domain name that might cause the gay community harm, for example from registrants masquerading as members of the community who in fact were anti-gay activists intending to use the registration for anti-gay purposes. The expert charged with making a ruling on behalf of ICANN didn’t contest ILGA’s status as a representative of the gay community, nor did he challenge the existence of a “clearly delineated community.” He noted the wide opposition among LGBTQ organizations to Afilias’ application for .lgbt, and he admitted that the terms gay and LGBT describe the same community. Nevertheless, he found in favor of Afilias. This was partly due to a strategic choice by ILGA and partly because of a lack of clarity in ICANN’s notion of what a community is and how the new gTLDs would serve them. Essentially, he concluded that .gay could exist in harmony with .lgbt, with .gay serving the gay (or LGBT) community, and .lgbt serving more commercial interests, going so far as to imagine a hypothetical use that would not be harmful to gays, i.e., corporations highlighting their gay-friendly products, services, or policies. In so doing, he indicated that it was imperative that there be a community gTLD for .gay, a decision that was outside his remit and will now soon be determined by ICANN. Of the two gTLDs, .lgbt will have much greater visibility. Afilias has the means and the motivation to promote the widest possible use of this purely commercial gTLD, whereas by choice and by obligation, a dotgay LLC-run .gay would be exclusive. While dotgay LLC’s commercial rivals have used the vetting process planned by dotgay LLC to raise fears of “censorship,” it is part of the logic of a community to ensure that those using this domain name are part of the community and will make proper use of a community resource. This type of policy is in fact required by ICANN. The propaganda and misinformation hasn’t come just from dotgay LLC’s commercial rivals. Formal objections were filed by Christopher Barron, founder of GOProud, and the Metroplex Republicans of Dallas, claiming that community status should be refused for .gay because gay Republicans might be excluded from the domain. Barron’s objection was rejected on technical grounds (including the fact that he seems to have been acting on behalf of himself rather than the organization), while the Metroplex objections were dismissed both because they lacked standing and on the merits of their complaint. Metroplex failed to demonstrate any reason to doubt dotgay LLC’s neutrality, other than rehashing the cliché that gays are all liberals, a claim invalidated by the group’s very existence. The guidelines for Community Priority Evaluation were determined by ICANN contractor Economist Intelligence Unit only last September, well after the launch of the new gTLD program. In its guidelines, EIU skews the broader original understanding of “community” toward a one-to-one match between a community and an institution proposing the gTLD, including “straight-forward member definitions: fees, skill and/or accreditation requirements, privileges or benefits entitled to members, certifications aligned with community goals, etc.” But an organization is not a community, and being gay isn’t like joining a club or being baptized a Catholic. And yet, there is a gay/LGBT/LGBTQIQA community. The name isn’t important, but the notion of community is. It’s one that has constantly defined itself as what it’s not, through an awareness of a special status as being outside heteronormative structures. The LGBTQ community’s members choose to define whether they belong or not, and under what gender and what label they prefer to be identified. What is at stake in the Community Priority Evaluation for .gay is whether LGBTQ people will determine who controls their name. After reappropriating queer and gay and dyke, we shouldn’t lose our ability to name ourselves just because there’s a dot in front of the word. An expanded version of this piece can be found here.